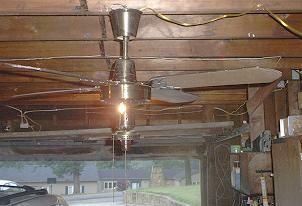 Here you will see pictures of ceiling fans that were donated. Pictures that are donated will be posted here upon request. If you donate pictures, they will not be posted, unless you request. Only up to five pictures at a time will be posted. Pictures will stay up until next donation. Update: This feature is discontinued, we now have the member galleries for users to post pictures. S.M.C. F52 ceiling fan. They replaced the Laguna with this one. 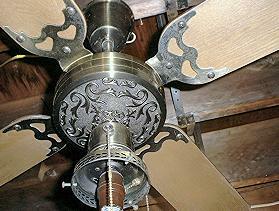 Ornate Tat Ceiling fan from the late 1970s, early 1980s.